Based on oriented c-axis aligned buffer layers, such as MgO and Al2O3 deposited on glass, materials such as GaN and AlN can be deposited as thin-films with orientation or high crystalline quality. Such architectures mean that sapphire and silicon wafers, which are costly, can be replaced by cheaper substrates with potentially even better material quality. 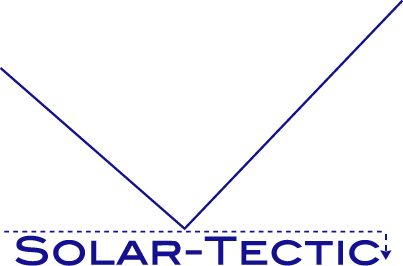 Solar-Tectic has cutting edge OLED technology. For example, using its patented laser eutectic process (link to patent), ST can grow single crystal silicon thin-film on glass for use as a backplane in OLED devices for high performance. Also, ST has been granted a patent for OLEDs using a process similar to that described above, but using a polymer instead (link to patent).